Publishers Association of the West wanted a fresh website that would be easy to use, service their members, and be “Google friendly.” They tried a WordPress website but wanted to freshen the look, add ecommerce capability, and optimize the delivery. 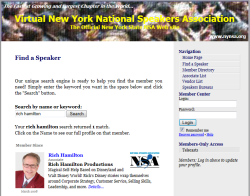 The New York chapter of National Speakers Association wanted to keep their existing website but set up a section that would provide several member benefits: A searchable Member Directory that would allow members to promote themselves, updated by the members themselves; and password-protected access to a series of recorded teleseminars. We installed a WordPress website that made all that possible. ABPA wanted a website that would promote membership and provide members with needed information and benefits. 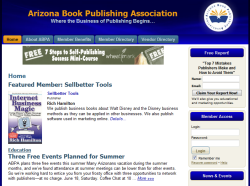 The website features a member directory, vendor directory, and each day a different member is featured on the home page. This association wanted a website that would provide members with information they needed and also promote the members’ businesses through an online directory. The website features a member directory and each day a different professional member is featured on the home page with a link to the full directory information. Members enter and update their own information so the association staff impact is minimal. This site was created to deliver a subscription to members. 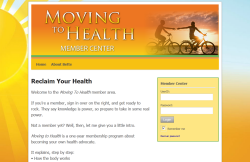 On purchase of the Moving to Health program, the buyer is given immediate access to the course. Materials are made available according to a weekly schedule, so “Week 1” information is available immediately, “Week 2” information is available one week later, “Week 3” information is available a week after that, and so on until the full 52-week course has been delivered. 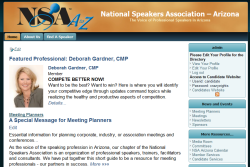 We were engaged by this former president of National Speakers Association to create a website that would generate leads and provide prospective clients with a taste of his abilities. We installed an email capture system that captures email addresses and immediately mails information to prospects. We also set up a page that displays video samples that he had already created so prospects can see the kind of work he does. This website was developed to provide prospective clients with the key information used in consulting. 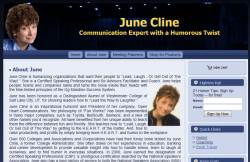 This professional speaker needed a website that would sample her work to prospective clients, sell her products, and give meeting participants certain information prior to and after a presentation. We installed a lead generation system that asks interested parties to sign up for her humor tips, giving her an email list for marketing. We also set up an order taking system that takes orders and processes the credit cards as orders are entered. 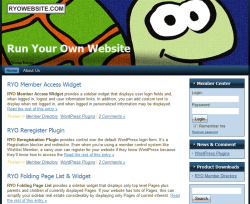 This website provides information on how to create and run your own website. It also offers unique tools to use in the process.